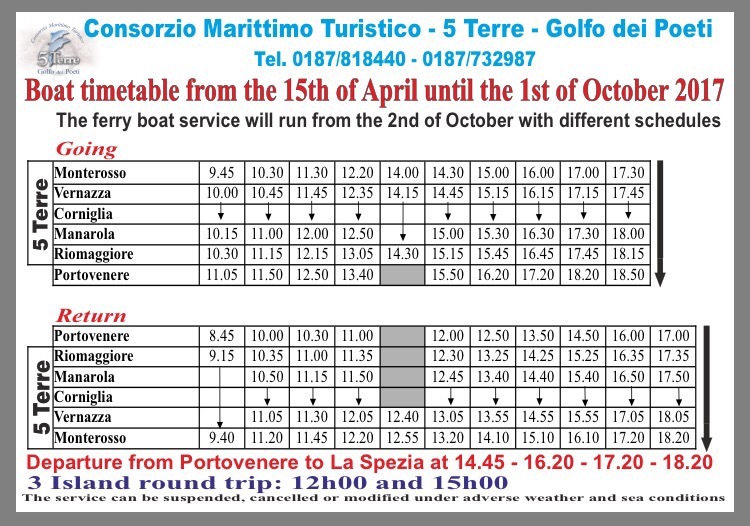 The following schedule and pricing is valid for ferries connecting the Cinque Terre villages (minus Corniglia, which is located off of the sea) and Portovenere. For Cinque Terre pricing look below the green header. Remember that a “reduced” ticket is the price for a child aged 6-11 years (traveling with an adult). Children younger than 6 travel for free with a paying adult. Question for you about this ferry…..we plan to take the train from La Spezia to Monterosso and work our way back south. If I buy the ticket called “One Way With Stops” for $18, does this cover me if I want to be able to ride the ferry as much as I want on my way south and eventually back to La Spezia later that day? Thanks! Great blogs! Very informative! Thanks for reading the blog! 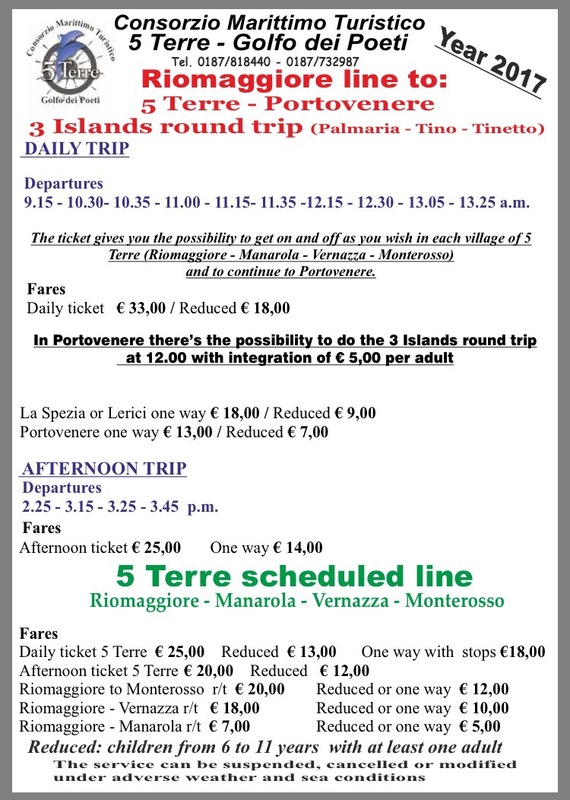 That ticket would work for you to travel from Monterosso to Riomaggiore (stopping also in Vernazza and Manarola along the way). Of course, that’s unidirectional. If you’d like to continue on to Portovenere and ultimately La Spezia you’d need a more expensive ticket to encompass those stops as well (as the €18 ticket is only for the Cinque Terre).